In the Peruvian Amazon, many artisans have found in conservation a way out of poverty, by preserving the natural resources that they need to create handicrafts — products that are made of plants and other natural resources and sold to tourists. Handicrafts vary from bowls, clothes, animal shaped toys, and many other creations. 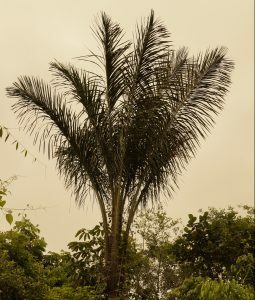 One of the main resources indigenous artisans use for creating handicrafts is the chambira palm (Astrocaryum jauari), a large and spiny palm tree that is native to the Amazonian rainforest. 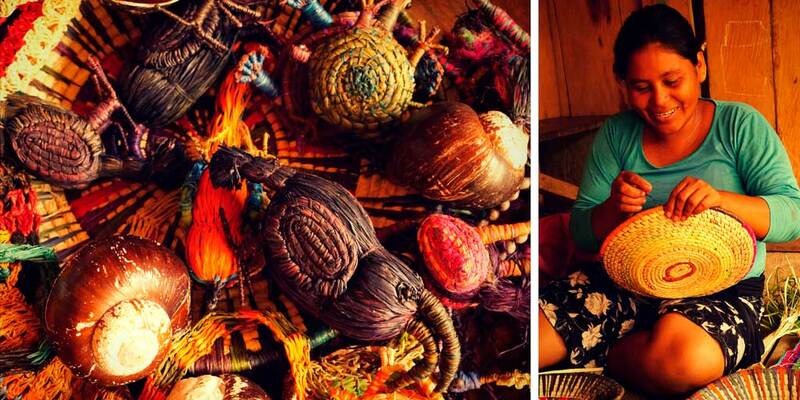 Traditionally, indigenous artisans have used the fibers of young chambira leaves to create their handicrafts. However, the indiscriminate use of the chambira palm and the lack of knowledge about conservation practices such as reforestation, has caused a significant depletion of this important resource. To reverse this trend, Minga Peru trains artisans on the cultivation and sustainable use of the chambira palm and other plants and natural resources for creating handicrafts. 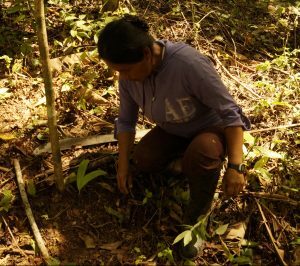 Through Minga’s training, artisans learn to reforest areas with chambira seeds to ensure the chambiras do not disappear. This allows the artisans to continue generating much-needed income to support their families while also ensuring that the chambira and other key plants and resources will be around for many generations. To reinforce Minga’s training, Minga also produces and broadcasts its radio show “Bienvenida Salud” throughout more than 30 communities, spreading knowledge about many issues, including the importance of the sustainable use of natural resources – such as the chambira palm – to create handicrafts. To date, Minga’s work has supported conservation in the Peruvian Amazon by training more than 250 artisans in the Peruvian Amazon, thanks in part to the great support received from key partners: the Lindblad Expeditions-National Geographic Fund, the New England Biolabs Foundation, and the Ashmore Foundation.